I've mentioned the roller set on this site several times. I've posted photos to show what the new short hair-do looks like after I use it. 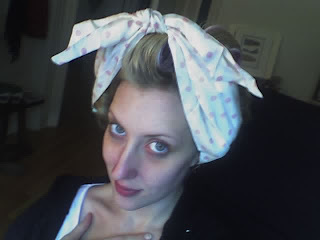 But I've never shown you all a picture of the funniest image of all -- the hair done up in curlers like it's the '50s.